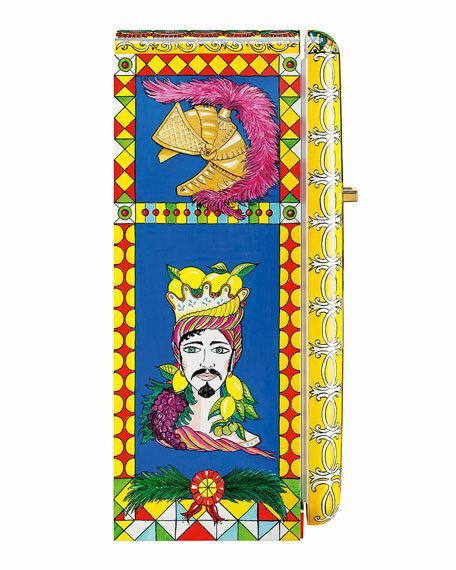 Unique 1950s style single-door refrigerator hand-painted with "The Moors", by Michelangelo Lacagnina, in partnership with Dolce & Gabbana. 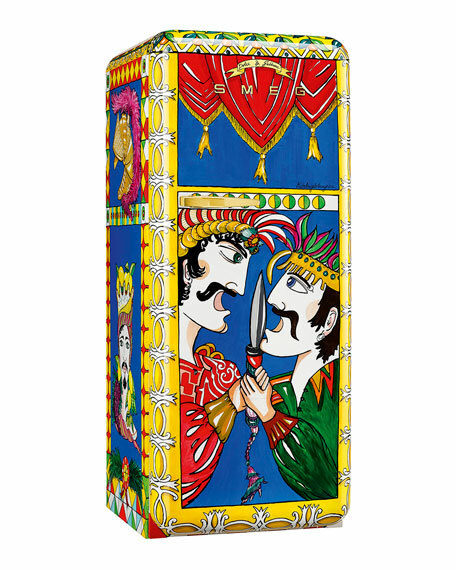 The Moorish heads of Caltagirone, ceramic sculptures that depict the faces of Saracens, are the source of inspiration for this refrigerator. 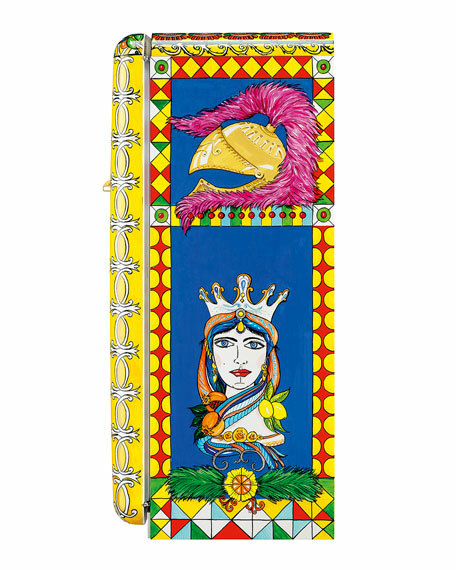 The Saracens dominated Sicily in the 9th and 10th centuries, profoundly influencing the culture and history of the island. 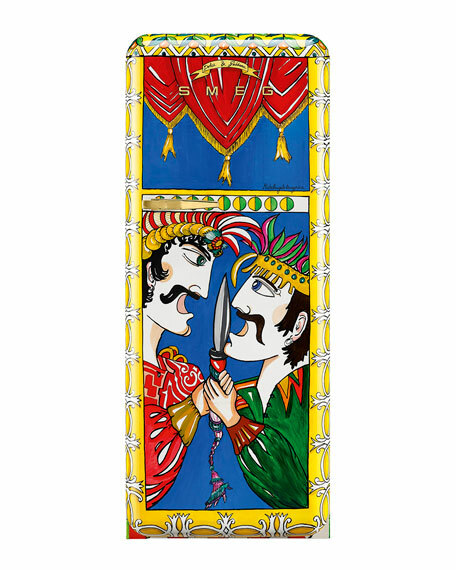 The main protagonists are two Moorish warriors, painted on the front panel engaged in a duel with daggers, while the lower part of the side panels feature ceramic vases framed by Sicilian vegetation. In the upper part are the helmets worn by warriors. 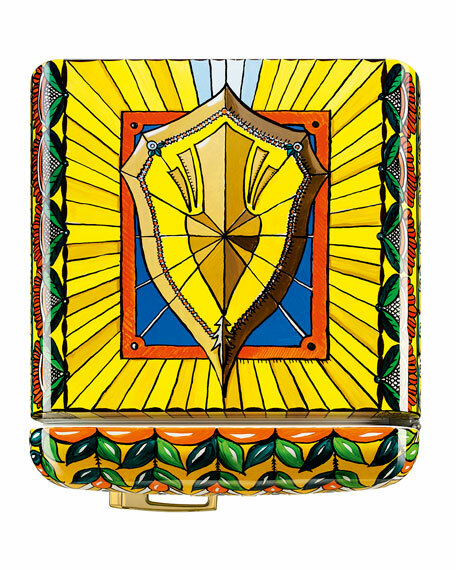 The top is adorned by a reinterpretation of a Saracen shield.